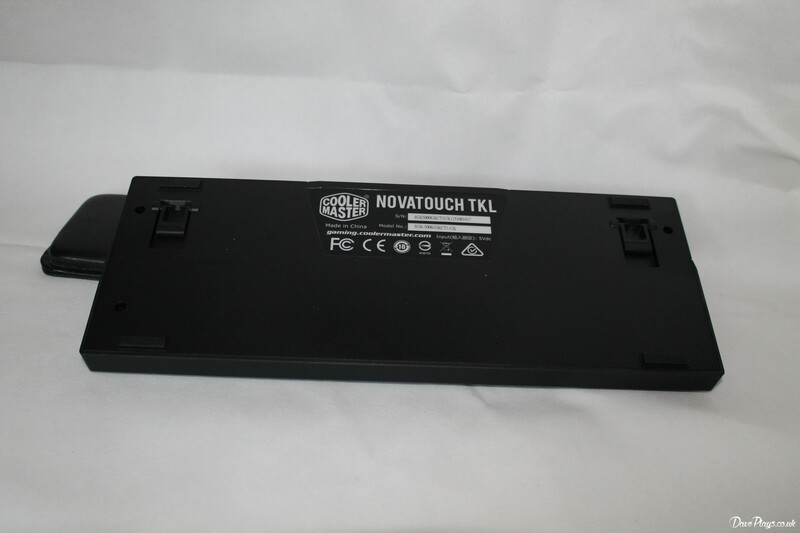 The rear of the sleeve has information about the switch. 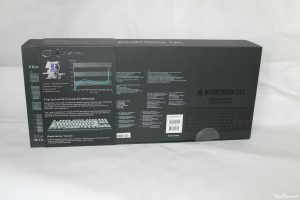 The main box has the features laid out in white print. 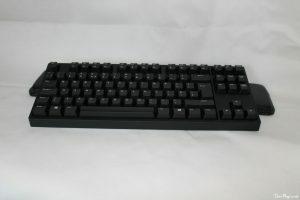 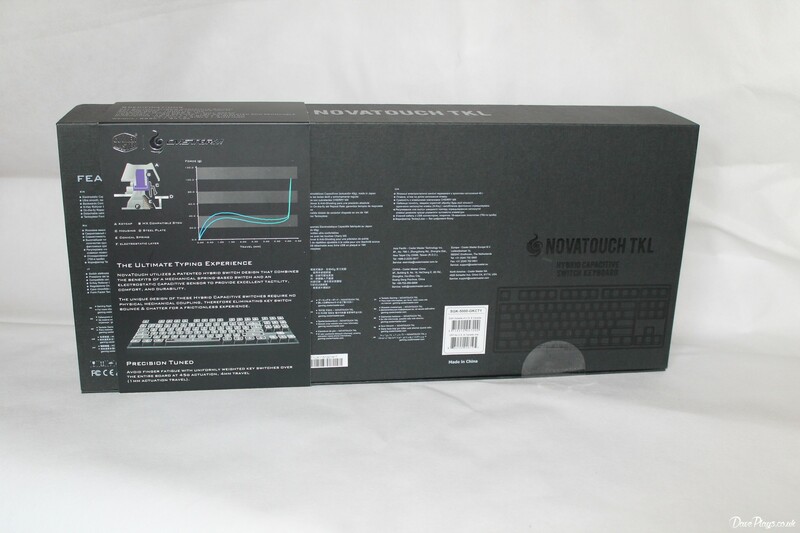 The keyboard itself is a TKL (Ten Key Less) design. 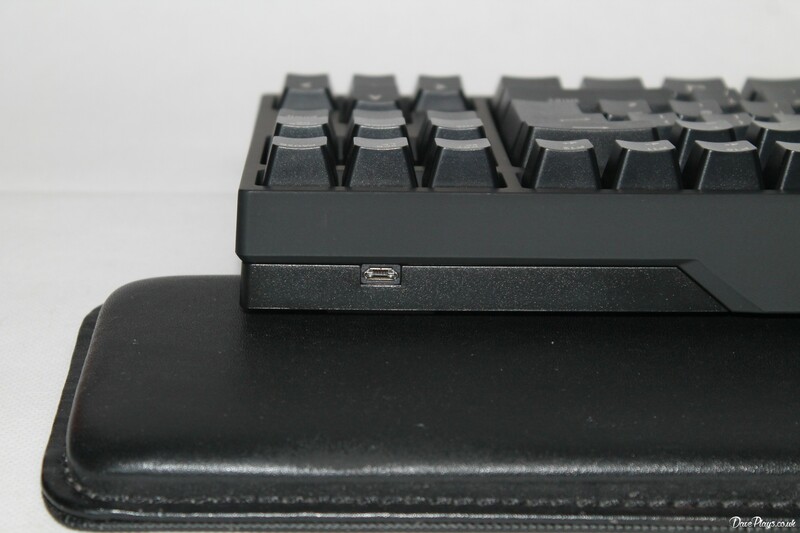 It has a slightly rubberised texture around the top of the keyboard. 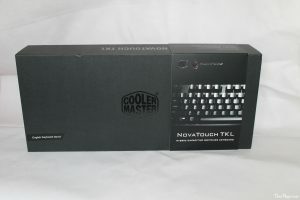 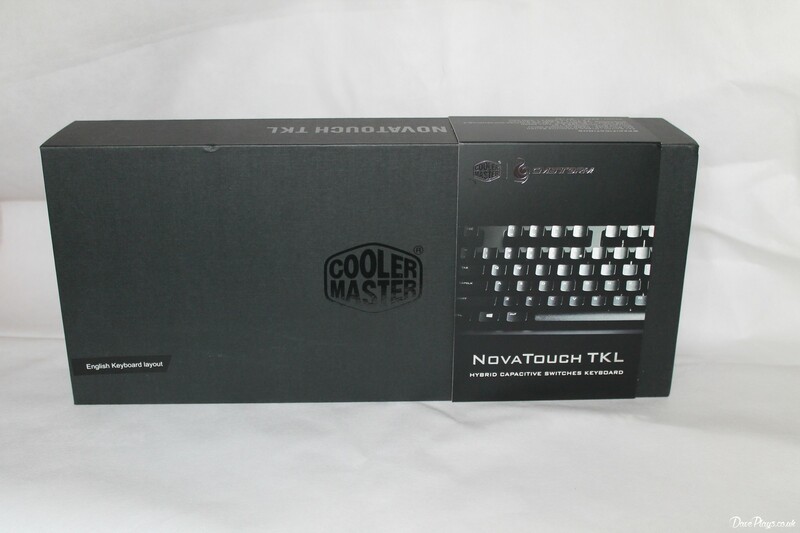 Underneath is simply the Cooler Master serial sticker, which seems to get bigger on each keyboard I see. 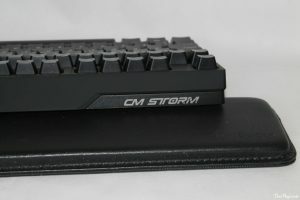 There is not a lot of other branding on the keyboard than the CMStorm logo on the top edge of the NovaTouch. Interestingly the NovaTouch does not use a mini usb connector, instead it has a micro usb connector for connecting to your PC. This in theory should offer a more durable connection, as micro usb is a more solid connection. The key caps are fairly standard, they have a small font which is laser etched and infilled with white paint. They should be quite durable but may become dirty over time. 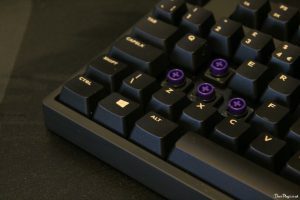 Because they allow you to use, easier to find, replacement Cherry MX key caps without any modification. 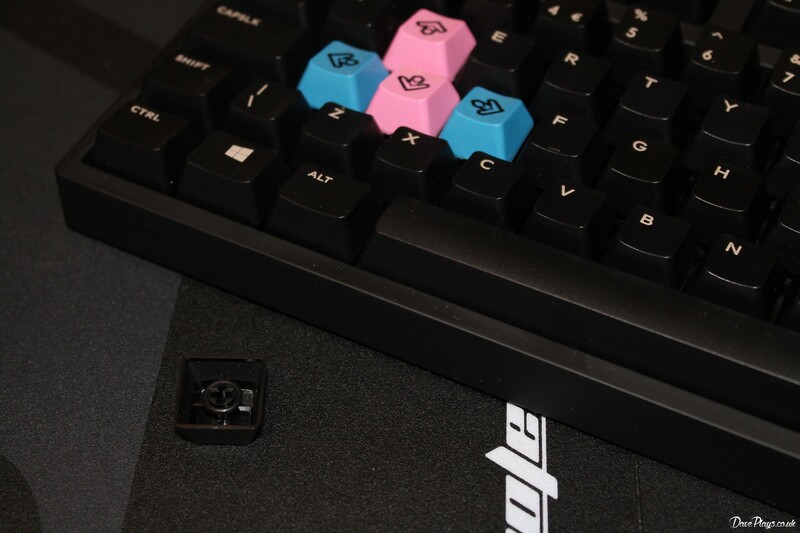 Which considering the amount of novelty key caps available means a plethora of options and styles you can have. 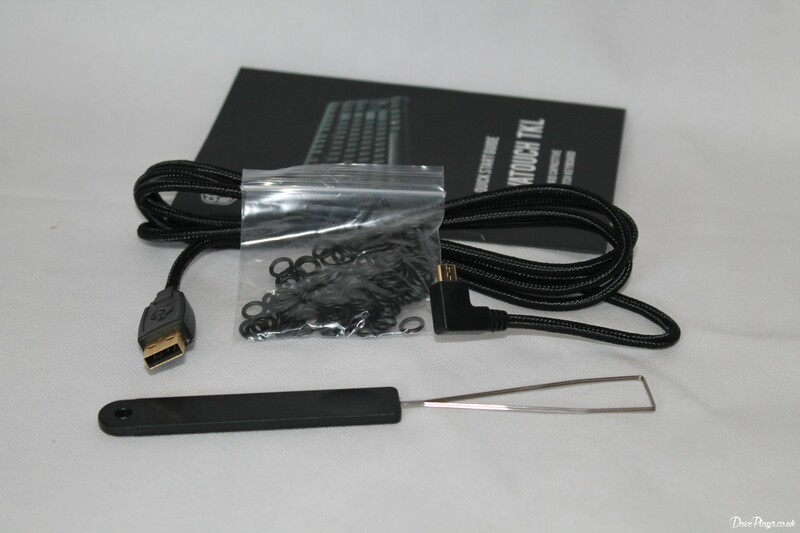 Also Included with the keyboard is a braided micro usb cable, a key puller and a bag of o-rings which allow you to dampen the keys. 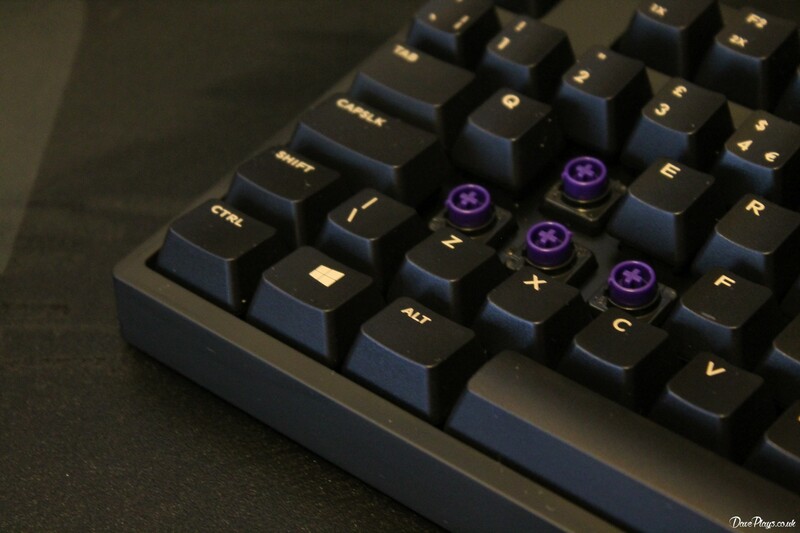 If you flip a key cap upside down, the o-rings slide on over the stem.